Tom Perriello will serve as CEO of Win Virginia, a PAC dedicated to helping Democrats win back the House of Delegates this fall. The two candidates for the Democratic Party nomination for governor are talking money this rainy Monday. Does it even matter who Democrats nominate to run for Virginia governor? 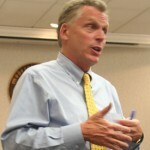 Let’s assume a Democrat is elected governor of Virginia in November. What can Ralph Northam or Tom Perriello actually achieve in the next four years? Lt. Gov. Ralph Northam and former congressman Tom Perriello are sparring over campaign finance reform today. Lt. Gov. Ralph Northam called for a new law to require dark money groups to disclose their contributors if they spend money to influence Virginia elections. 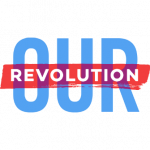 Our Revolution President Jeff Weaver issued the following statement Friday endorsing Tom Perriello for governor of Virginia. Lt. Gov. Ralph Northam and former congressman Tom Perriello announced a schedule of five debates and three joint appearances. Ralph Northam and Tom Perriello are in a dead heat in the race for the 2017 Democratic Party governor nomination. 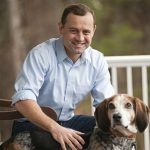 Former Fifth District Congressman Tom Perriello has endorsed Aneesh Chopra for the Democratic Party nomination for lieutenant governor. Tom Perriello, a former congressman from Virginia and current CEO of the Center for American Progress Action Fund, joined national small business advocacy organization Small Business Majority and a local small business owner on a tele-press conference call to discuss the “fiscal cliff” and how it might affect entrepreneurs and the middle class—a category virtually all their customers and 97 percent of small business owners fall into. 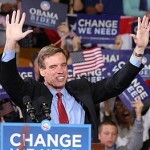 With speculation swirling around Mark Warner and his rumored consideration of a run for the Democratic Party nomination for governor in 2013, another prominent Democrat has thrown his hat into the ring for the nomination. Chris Graham: Do Dems have a chance in 2013? Barack Obama and Tim Kaine are looking good in Virginia in 2012. And then you look ahead to 2013, and it looks again like Republicans have the inside track to a statewide sweep.